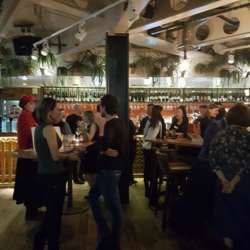 March Newcomers' Event - Let's Welcome Spring With a Drink! New in London? New to InterNations? 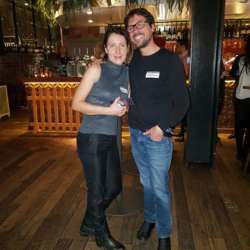 Join us at The Fable to meet other InterNations Newbies in town! We have a spacious area on the ground floor reserved for InterNations, right next to the bar! Our Newcomers’ Events are smaller, lovely get-together, especially organized for members who are new in our community. It's an informal and free event. Bring chocolates or strawberries to share! 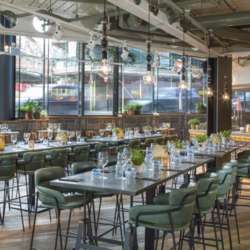 The Fable is located near Holborn Viaduct in Central London. 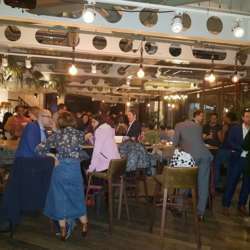 Spread over 3 floors, each with its own bar, this venue can be easily accessed either via the ground floor or the 2nd floor. The ground floor is a 4-minute walk from Farringdon underground station, 7-minute walk from St Paul's underground station and 8-minute from Chancery Lane underground station. The 2nd floor is only a 2-minute walk from City Thameslink railway station. If you enter via the 2nd floor, just simply go down the stairs to meet us on the ground floor.